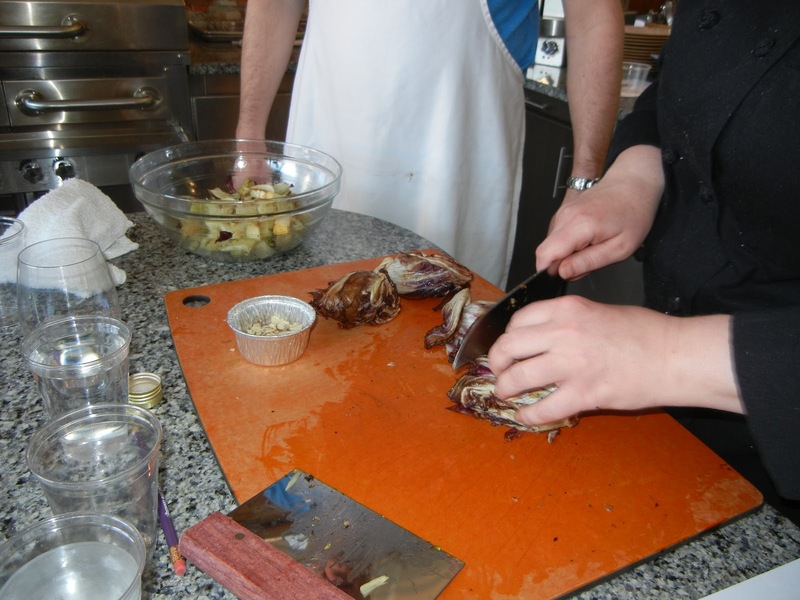 The first thing we made in our Rendezvous Under the Stars cooking class was a Grilled Fennel and Radicchio Salad. 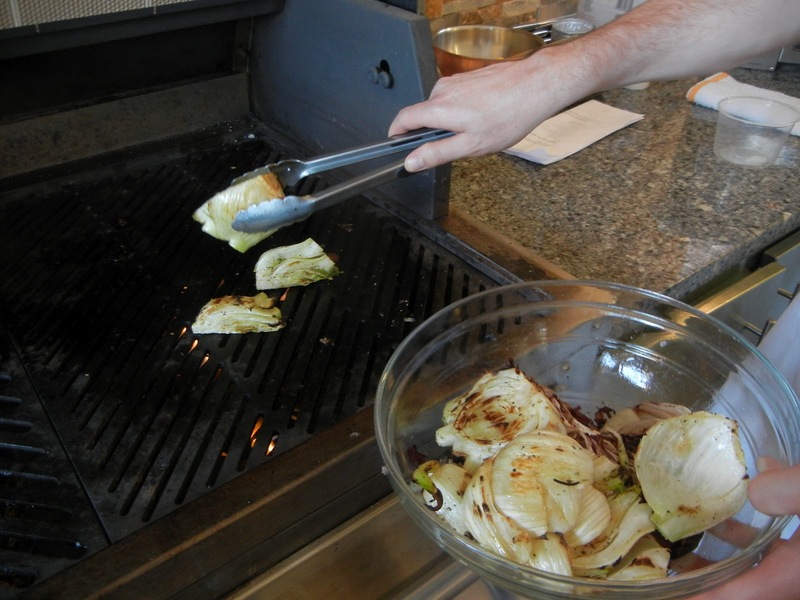 I’ve grilled Radicchio before and really loathed it. It was just too bitter for me, but I did like the way it looks when grilled. I wasn’t too excited about this salad, when I saw it on the class handout. I’m not a big fan of the anise flavor of Fennel either — if I was just leafing through a recipe book I would just skipped this recipe. 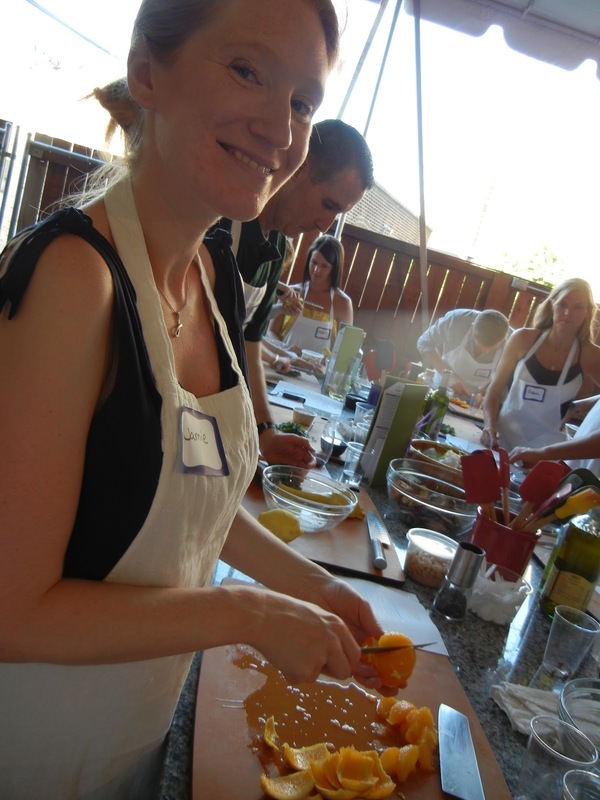 I’m quite happy this was part of class – it was so tasty and refreshing on a hot summer day. 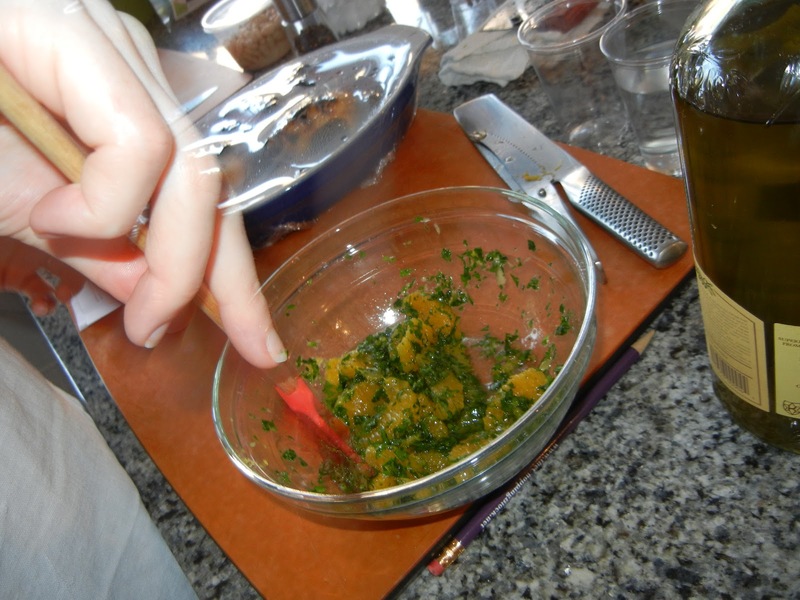 The recipe is from the Chopping Block – I have made no alterations to this recipe. The sweetness of the oranges and the citrus from the lemon really cut the bitterness of the radicchio and the anise of the fennel. I had a very low expectation of this recipe but it really shocked me, it will definitely make it into my recipe box. 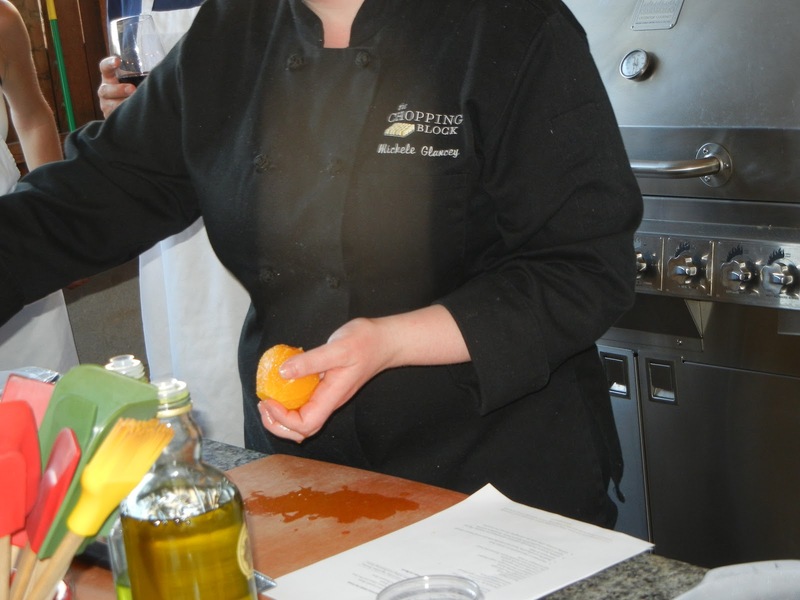 Mixing the herbs with the orange segments. than this picture leads one to believe. Have you made a recipe full of ingredients that you don’t really like on their own, but when put together you really dig it? How do you cut the bitterness of vegetables like radicchio? 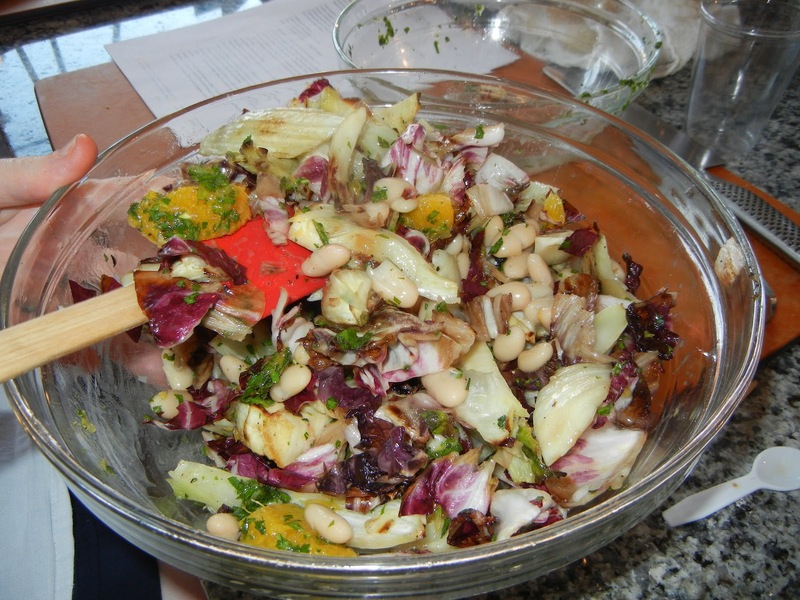 Do you have a great summer grilled salad recipe – if so, post it in the comments and we can all enjoy it! By Tim in Food on June 20, 2012 .